Less than two months ago we reported on ASDA’s slashing of the Wii U pack prices, back then both the Basic and Premium bundles had price cuts of £50. 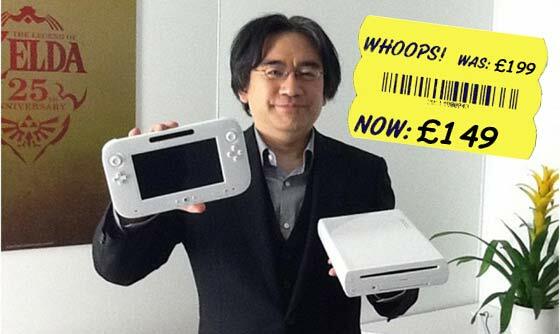 Now ASDA are doing it again – a further £50 has now been taken from both Wii U bundle prices. 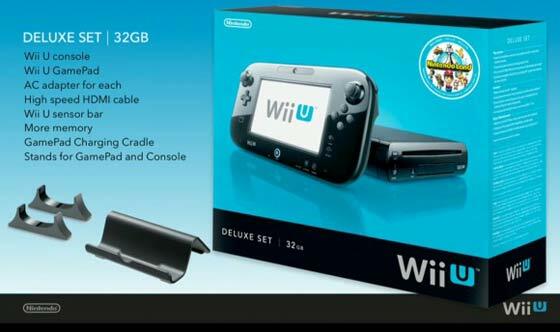 This means that you can now pick up a Wii U Basic pack for £149 and a Wii U Premium pack for £199 in the UK, reports computerandvideogames.com (CVG). Nintendo management had scheduled to meet with “worried UK retailers” around this time, to inform them about new and exciting upcoming games and a beefed up strategy to sell the console. If this meeting has already been held with ASDA then the UK supermarket can’t have been very impressed. CVG sources are unclear whether the Wii U pack price cut is permanent or just some kind of limited time offer, as ASDA also has a promotion on the regular old Wii, with 33 per cent off those consoles. Meanwhile, addressing apparent market confusion, Nintendo has told Wii users that the Wii U is “not just an upgrade -- it's an entirely new system that will change the way you and your family experience games and entertainment”. Is anyone tempted by the newest price cuts? lol..it could be £49.99 but still be a useless brick gathering dust if there are no games. By the time there are games worth playing, it should be a cheap £99 second system to a PS4 or Xbox. ..as it is, it's still not worth buying. I concur, it needs more price drops to get shifting. When are they going to reduce the price in the US? I've been holding out for a price drop.